Join us to celebrate this most auspicious night of Lord Shiva, ruler of consciousness and granter of boons. Evening includes Yantra Puja, Abishek (ritual bathing) of the Yogini Ashram Shivalingam, Sacred Fire & Kirtan. According to the ancient texts, during the mystical churning of the ocean – Samudra Manthan, a pot of poison emerged from the waters placing the world in grave danger. With all beings and gods at risk, the great ones turned to Shiva for help. 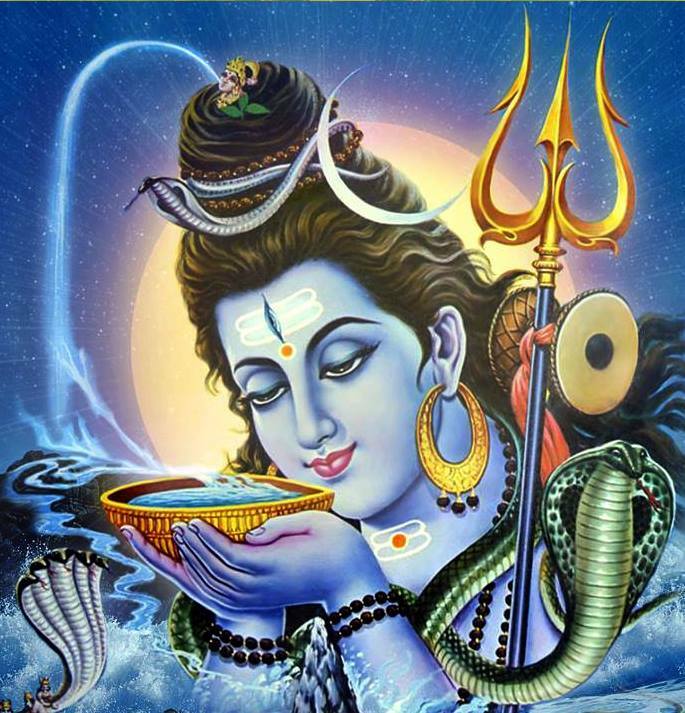 In order to protect the world, Shiva drank the deadly poison but held it in his throat instead of swallowing it. This turned his throat blue, and since then he came to be known as ‘Nilakantha’, the blue-throated one. Shivaratri is a celebration of this event by which Shiva saved the world. In Yoga the ocean represents the universal consciousness and connecting with Shiva at this potent time allows us the opportunity to purify our own consciousness and receive his protection and oggoing blessings in our lives.